ASUS has announced their new ROG Centurion 7.1 surround headset, which includes an audio station with a built-in amplifier and dedicated controls. 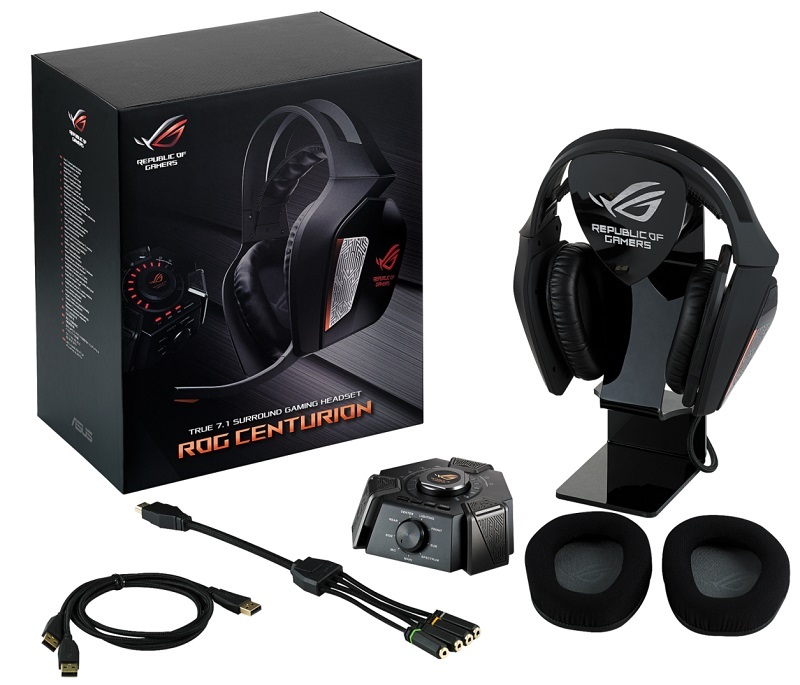 Read more on ASUS' ROG Centurion 7.1 headset. Why do most new headset have this solid headset with an flexible head band on the inside?... Not much for adjustability really. I tried an SteelSeries Siberia V2 headset before and it had the same type of headband and it was way too small for my head. So bigger heads won't suit this type of headsets. While it's good on paper in reality 7.1 in a headset never works like proper 7.1 as the drivers are too close to each other, I know as I have owned several, It sounds ok but nothing like actual 7.1. The only thing that should go on your head is either a stereo headset or headphone, If you want 7.1 then the only way to really have it is with a dedicated 7.1 speaker setup. Well it's now November and I still can't find a UK retailer for these.